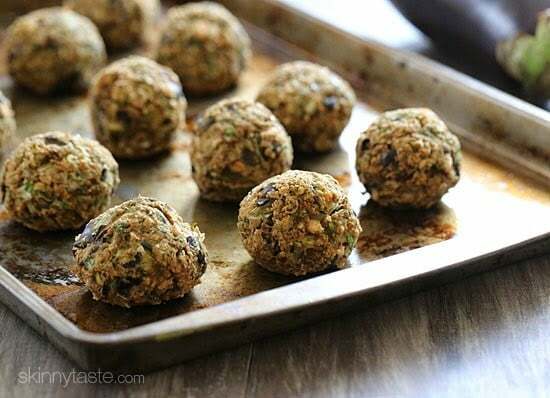 These Vegan Eggplant Meatballs are amazing meatless meatballs, made with eggplant, white beans and breadcrumbs to hold them together – if I was a vegan, I would have no problem eating this for dinner every night! They almost remind me of eggplant parmesan, in the form of a meatball. 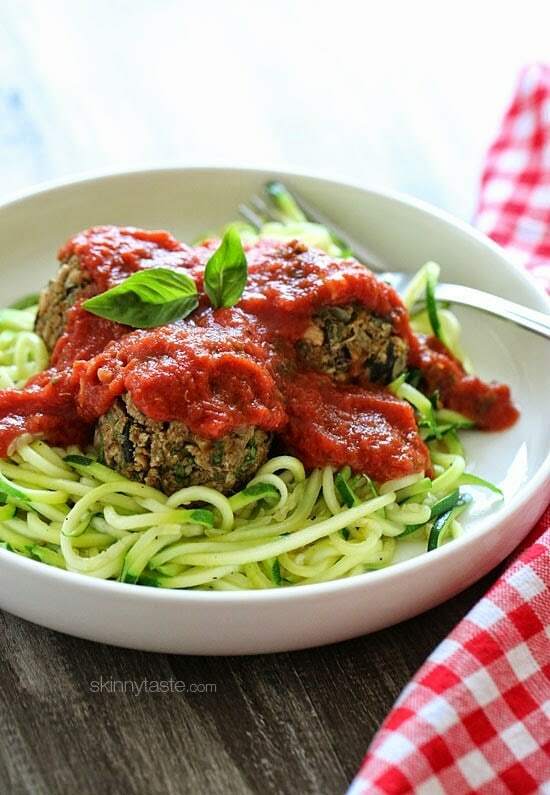 Vegan Eggplant Meatballs are great whether you’re a vegan or just want to incorporate more plant based foods into your diet. 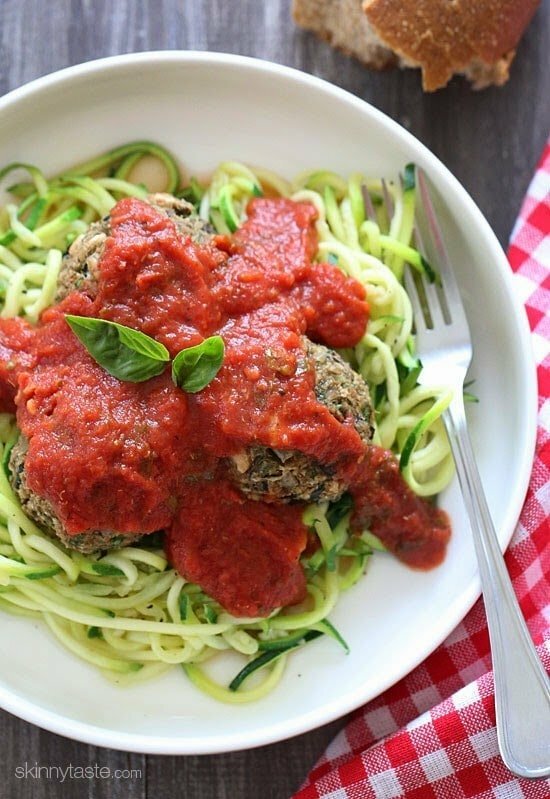 More vegan dinner recipes like this are Quick Spiralized Zucchini and Grape Tomatoes, Spaghetti Squash Primavera, Puerto Rican Style Beans, and Broccoli and Orzo to name a few. Place 1/2 tablespoon olive oil in a large nonstick skillet over medium high heat. When hot add the eggplant and 1/4 cup water. Season with salt and pepper and cook, stirring occasionally until tender, 10 to 15 minutes. Transfer to the bowl of a food processor. Add the remaining 1/2 tablespoon of oil to the skillet with the onion and garlic and cook until translucent, 3 to 5 minutes. 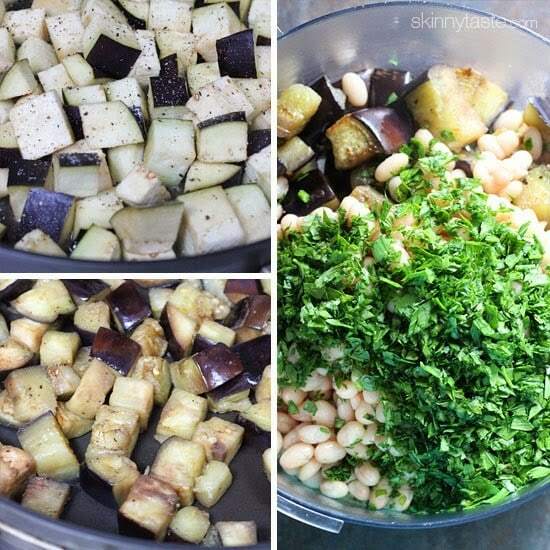 Add to the food processor along with the drained beans and parsley and pulse until well combined and chopped, but not pureed. Combine the mixture with the breadcrumbs and red chile flakes if using. Taste for salt then roll into 12 meatballs, about 2-inches in diameter. 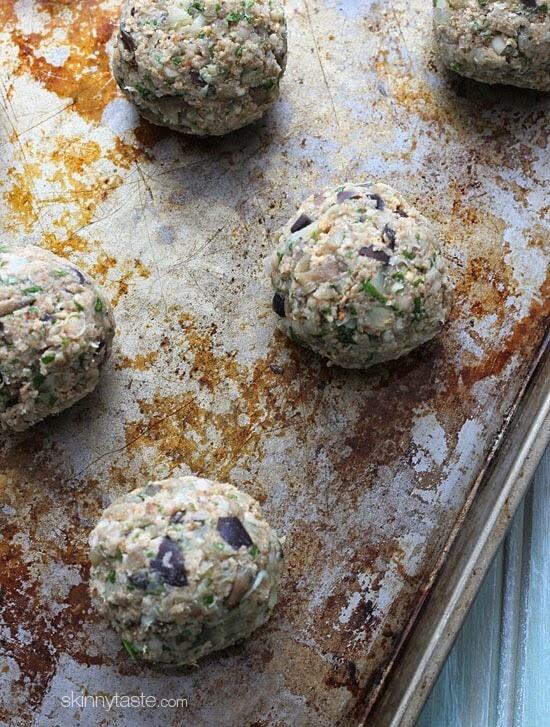 Transfer to the prepared baking sheet and bake until firm and browned, about 25 to 30 minutes. 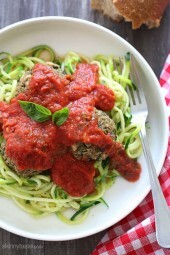 Meanwhile, warm the marinara sauce and serve with the meatballs over pasta, zucchini noodles or on a whole wheat roll.